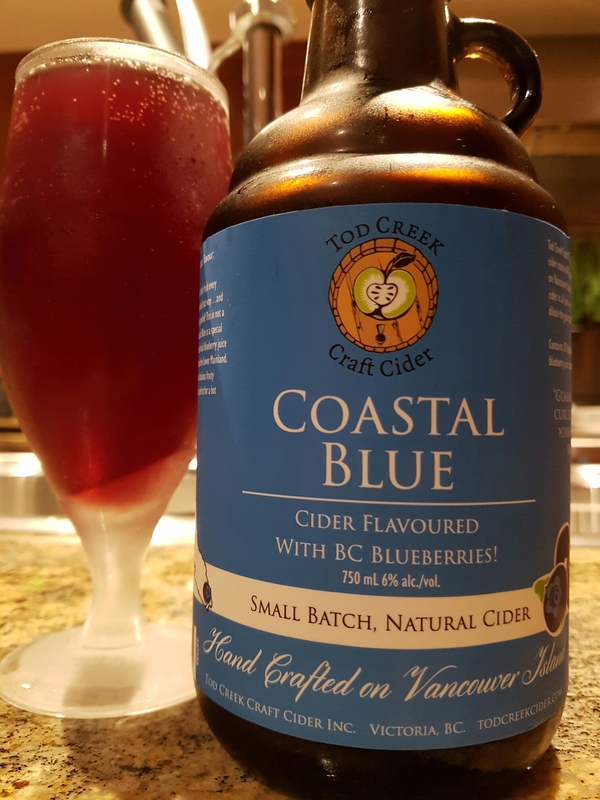 Coastal Blue – Todd Creek Craft Cider (Victoria, BC, Canada) | Justintoxicated. Visual: Glass bottle with a handle, unique. Pours magenta purple with no head, bubbles hugging the side of the glass, suspended micro sediment, micro bubbles here and there. Summary: First and foremost, let me say it: I like wood! And there’s lots and lots of it in this one from start to finish. 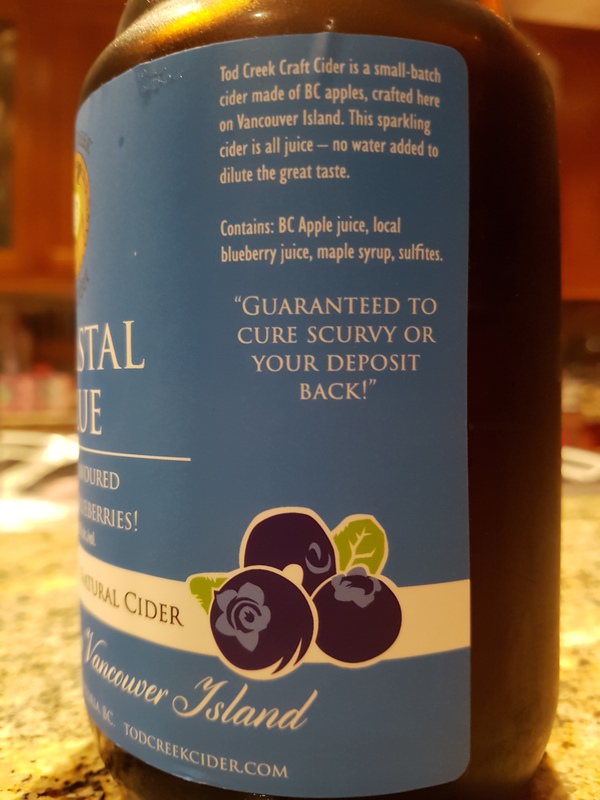 Authentic non-candied blueberry flavour. 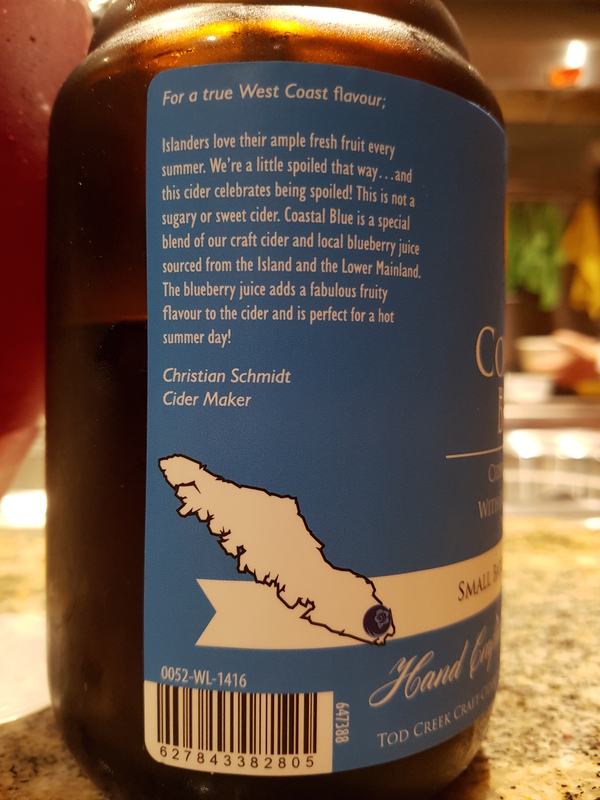 Wished for a bit more body, more CO2, and more punch this being only 6%.